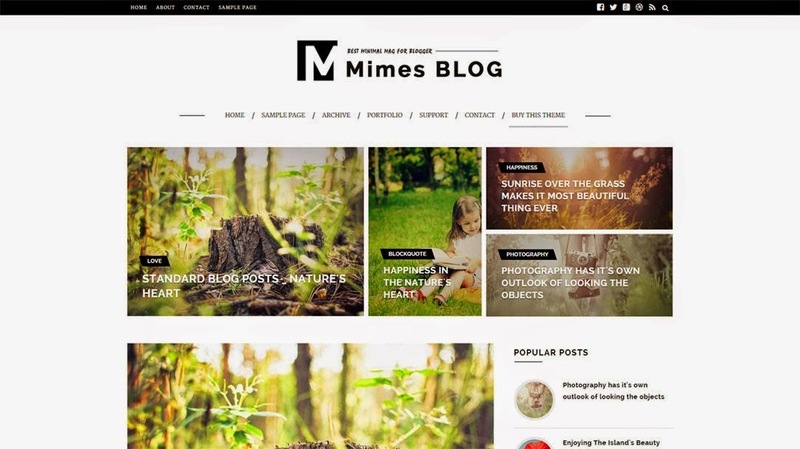 Mimes Blog is a multipurpose blogger template for the blog lovers, photography enthusiasts, and food/health blog . It's ideal for all niches blogger sites as it is loaded with full of features and custom widgets like featured-posts, random post widget, recent post comment widget. Not only with the design part but also it's enhanced with SEO which will boost your traffic.